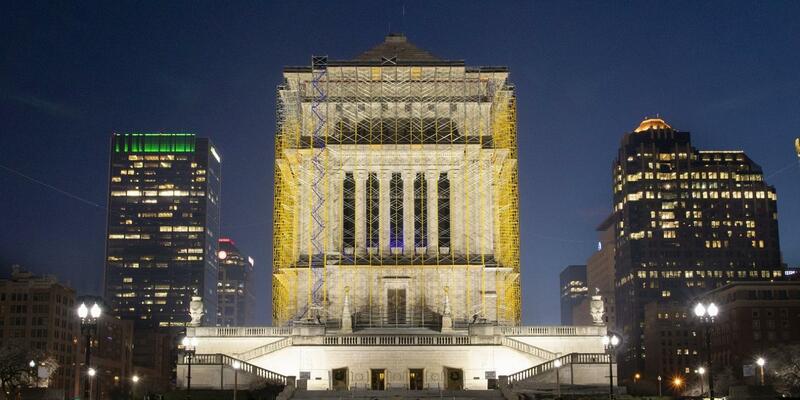 The Indiana War Memorial, dedicated in 1933 to honor Hoosier veterans of World War I, is an architectural showstopper. But it’s been shrouded in scaffolding since late last summer as crews implement much needed repairs. Join Indiana Landmarks, Indiana War Memorials Commission, and Indiana War Memorials Foundation for a special tour and discussion of this Indianapolis icon.